Jan Maklakiewicz was a composer, conductor, teacher, critic and publicist. After initial studies with his father, a country organist, he went to Warsaw to study, first at the Chopin Music School with Michał Marian Biernacki (harmony), Felicjan Szopski (counterpoint) and Leopold Binental (violin). and later at the Conservatory of Music (1922-1925) with Roman Statkowski (composition). In the years 1926-1927 Maklakiewicz completed studies of composition at the Ecole Normale de Musique in Paris under Paul Dukas. After his return to Poland he devoted his time to composition and organizing of musical events, having founded a number of choral ensembles. He was also engaged in teaching, as well as in musical journalism. In the years 1927-1929 at the Conservatory in Łódź he was in charge of the school choir and lectured on theory of music. From 1929 until his death he taught at the Warsaw Music Conservatory. In 1932 Maklakiewicz was appointed organist at the Holy Cross Church in Warsaw, where he also worked as a choirmaster. He was also active in musical journalism, writing for the Warsaw Morning Courier during the years 1930-1937. 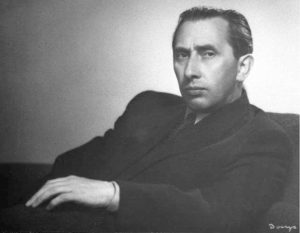 From 1926 until 1939 he also collaborated with the Teatr Polski in Warsaw and was on the staff of Polish Radio from 1937. During World War II Maklakiewicz first worked as a pianist at the Cafe Club and then at the Znachor Cafe in Warsaw, the latter a meeting place for many Polish underground organizations. From 1941 he returned to hide in his birthplace of Chojnata near Skierniewice. After the Second World War, as a musical publicist Maklakiewicz contributed reviews and articles to newspapers and magazines, such as Daily Morning, Music, Choir and Polish Daily. From 1945-1947 he was director of the Kraków State Philharmonic Orchestra and during the 1947-1948 season, he occupied the same position in Warsaw, also lecturing on composition and instrumentation at the State Higher School of Music. He wrote a great deal of church music in the 1930s and a number of mass songs after the war. Many of his works are based on folk themes. Maklakiewicz received the State Music Award in 1932 for his Cello Concerto, the First Prize at the Kronenberg Competition in 1933 for his violin Concerto No. 1 and, posthumously, the Officer’s Cross of the Order of Poland’s Revival (Polonia Restituta). We must demand this one thing: that “Polish character” would resonate, and this is because more and more often our output is influenced by international elements.